Every time you hear your friend complain about how thick her hair is, you have to stop yourself from rolling your eyes. She might have a problem with incredibly thick locks, but you'd love to have the same issue. Your hair has always been fine, and you've spent countless hours looking for ways to get a fuller, thicker look. You don't want clip-ins because temporary fullness isn't going to satisfy you; likewise, you've tried hair supplements in the past, but you're tired of popping pills. To maximize the fullness in your hair, try these methods, which can help you achieve the voluminous tresses you've been longing for. Not only is a roller set a gentler way to style your hair than using a flat or curling iron, it usually results in a fuller look than you get from styling with thermal tools. Rollers naturally create volume, so for really big hair, choose rollers that are the largest size your tresses will go around. Your hair won't be curly but will have a voluminous look that moves. Use a lightweight setting lotion or mousse so that your hair remains smooth but also has plenty of body. Once your hair is set, keep the fullness in place with wraps. Before going to bed, wrap your tresses and cover them. Your head acts as a giant "roller," allowing you to maintain straightness without relying on heat tools, which can eventually thin out your hair, making it appear even finer. 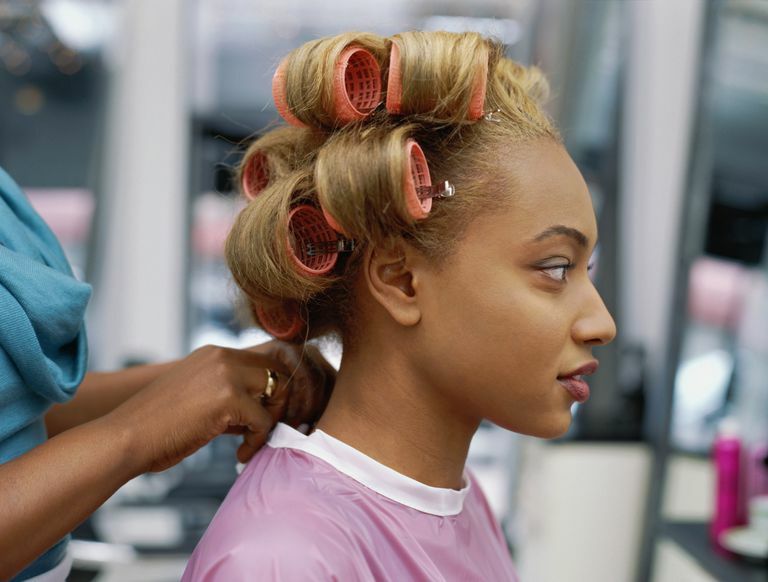 Alternately, you can also wet wrap your hair instead of roller setting; your finished style will be straighter, but still full. When it comes to adding fullness, the products you use can make a big difference. Look for those that create volume, such as Paul Mitchell Extra-Body Sculpting Foam (buy on Amazon). Opt for liquid leave-in conditioners over creamy ones. Using a clarifying shampoo about once per month helps remove buildup that can weigh down your mane. In addition to using the right products, don't use too much of anything, as this can also make your tresses fall flat. A regular shampooing schedule prevents heavy buildup as well. For daily styling, leave those heavy pomades behind! Look for light serums and glosses that you only need a dime-size amount of. If your hair is very fine and seems to get weighed down by the slightest thing, save your product application for the ends of your tresses. Relaxers have a processing time frame for a reason. Not only are you less likely to suffer damage by not leaving the chemicals on longer than recommended, you'll also retain more body in your hair by not overprocessing. Some women opt for texlaxing over traditional relaxing in order to hold onto as much volume as possible. While this method won't g et you "bone straight" results, wrapping or roller setting your tresses helps you get the smooth results you want and still enjoy a full look. The right cut creates volume, so instead of a one-length bob, try a layered look for added fullness. Consult with an experienced stylist who's skilled at cutting, and you'll have the foundation for bigger hair. Even ladies who prefer a lengthy look can enjoy a layered style. Long bobs can appear just as full as short, tapered cuts; it's all in the skill level of your stylist. Take along pictures of layered haircuts you like so that the professional you consult can advise you on how well the look will work with your particular length and texture.